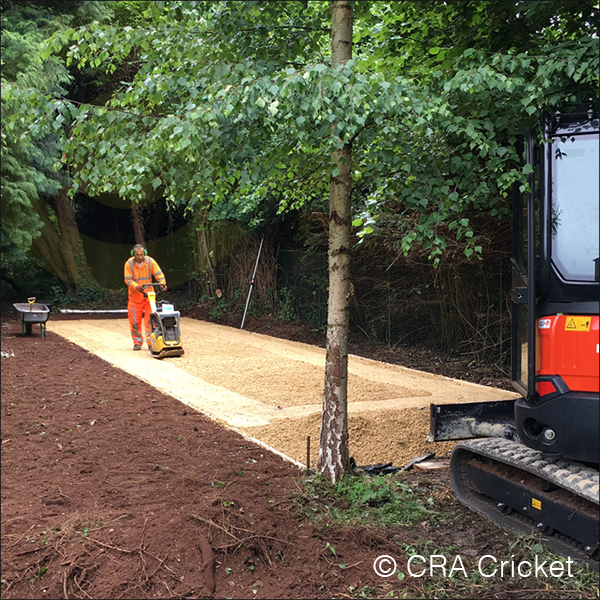 How to build a home non turf cricket pitch and cement base - CRA Cricket Pitch Company. This demonstration shows how a non turf home cricket pitch is made. 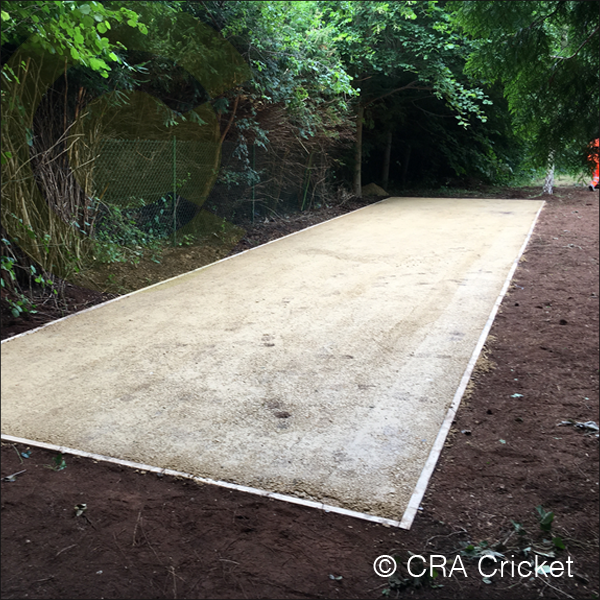 We can supply a pitch base build and construction service for commercial and public use artificial cricket pitch bases. For residential users we offer a municipal public grade IBC non turf artificial pitch surface suitable for laying onto cement and tarmac areas, and twin aggregate professional top carpets and under shock padding for professional use such as cricket clubs and univeristies. This section is NOT A GUIDE, but only an explination of our own build process. We cannot accept any responsibility for any creations built from this information, which is only for demonstation. All company pitch builds are different and ground type, water flow and inclines all affect installation, performance and cost and can only be priced indiviadually. Depending on the sub surface or additional root or cable problems, a typical 30m x 2m sub base trench can be compelted within one day. Areas where access for the mini digger is not suitable will take longer as the earth has to be removed by hand and barrow. The removed spoil is the customers responisibiity to remove or make use of, but our staff can be instructed to remove the spoil or move it to another area and the costs of this should be arranged during the project pricing. We offer two types of sub base. An aggregate and cement top most suitable for IBC or Needle punched (with shock padding) as its easy to maintain and offers year long use. For clubs or universities we supply a twin aggregate dynamic base with mebrane, topped with Woven or Matchbowl woven non turf carpet with either standard GP2 Club or pro shock padding. The specifications are made to the requirements of each customer and can be created up to county standard. Most residential artificial pitches with be finished with a compressed top skim. This is to create a smooth and strong platform for matting, or first layer shock padding. Top skimming lowers the need for base maintenence and combined with good rain management, the new matting will offer a good performance with full weight seamed balls and also machine balls. (Be aware that full speed machine balls can burn surface matting on repeated shots). Be careful not to heat up the same patch of surface continually. For twin aggregate bases the shock padding and top surface is battoned to the timber frame with 20mm steel pins. The pins cab be removed for surface and base maintenance. IBC matting can be bonded down for additional weather resistance. Nationwide cricket construction, building and installation services. High public and sports club equipment up to county standard. Schools and University cricket grounds. Club batting practice areas. Leisure centre indoor cricket net lane and roof net tracking systems. Boundary and perimeter safety netting up to 9m tall. Scoreboards and sight screen assembly. Nationwide service (mainland only). Please call 0800 999 5699 for more details.